The United States Green Building Council has developed the Leadership in Energy and Environmental Design Accredited Professional (LEED AP) to give special recognition to those who demonstrate exceptional knowledge and skill in an area of green building and construction. 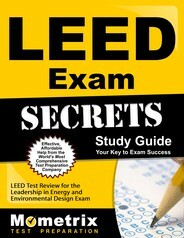 One of these exams is the LEED Green Building Operations and Maintenance Exam. The LEED Green Building Operations and Maintenance Exam has two parts, each of which consists of 100 multiple-choice questions, taking about two hours to complete. The entire exam takes about four hours and twenty minutes. In order to pass these exams, candidates need to earn a 170 on a scale ranging from 125 to 200. The scaled score is based on the number of questions answered correctly and the relative difficulty of the exam version. 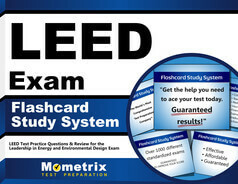 Those who take the computer-based version of the LEED Green Building Operations and Maintenance Exam will receive their results immediately.